The iPhone X may have a stainless steel frame, but the glass panels on front and back will break if you drop the phone onto anything other than carpet. Even if you ponied up some extra cash for AppleCare+, repairing the iPhone X is a costly affair. 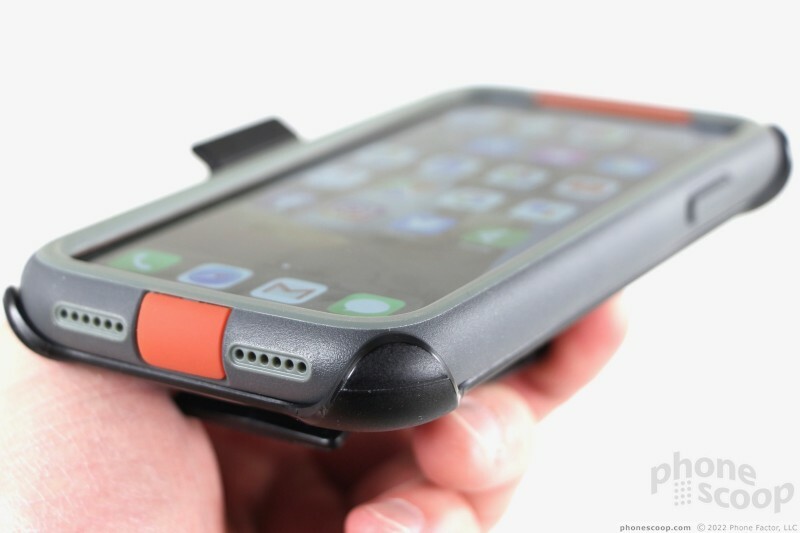 Better to prevent breaks altogether with a protective case. 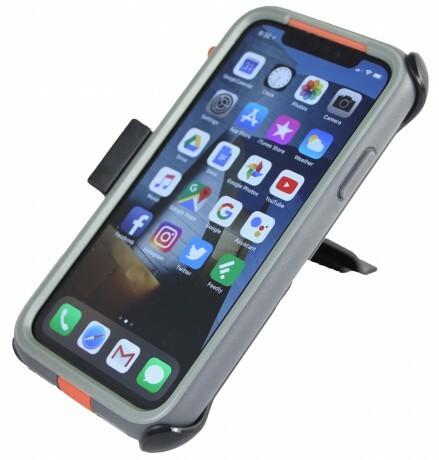 Cases for the iPhone X come in a wide variety of designs with varying degrees of protection. 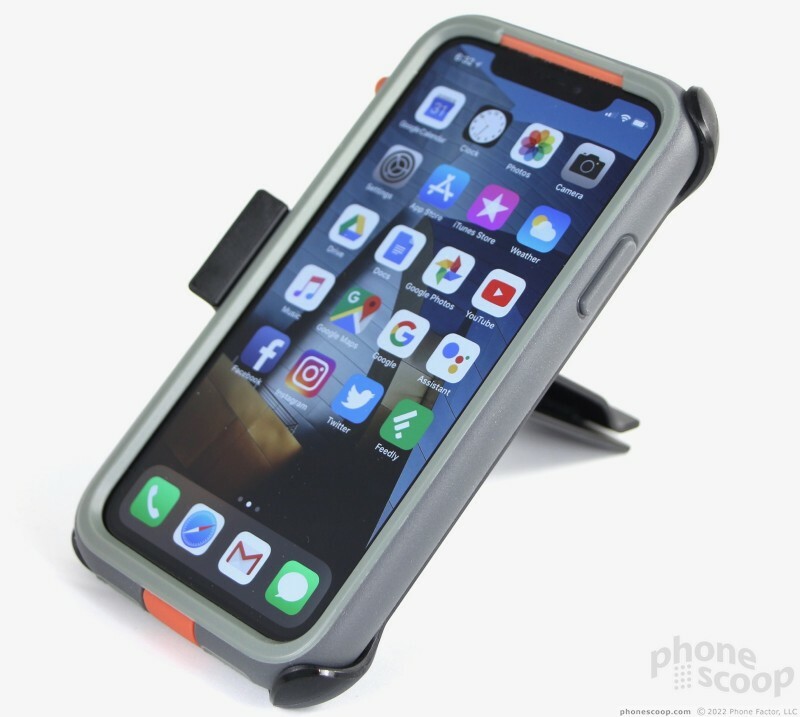 The Presidio Ultra from Speck is the first I've seen that includes a removable bumper to beef up the toughness factor a notch when you want. The main case is pretty straightforward in its design and build. A shock-absorbing rubber material forms the inner surface. The edges are ribbed all the way around to provide some cushioning for the iPhone X. 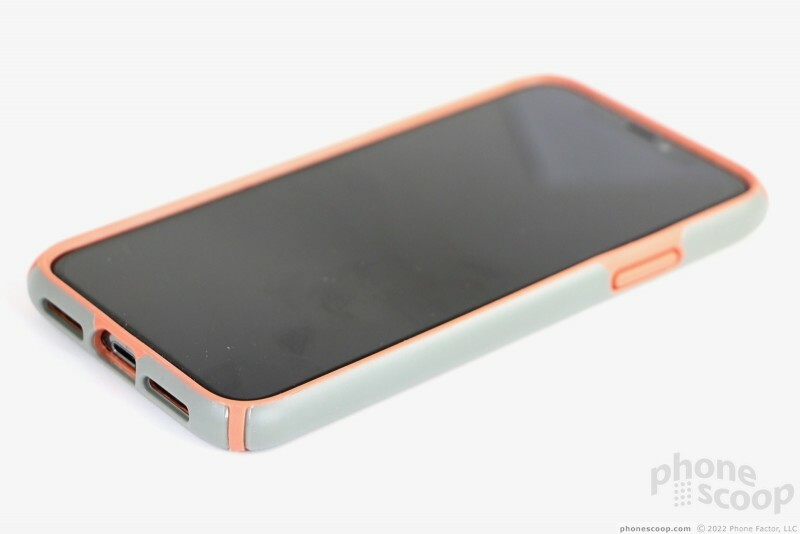 The rubber is set into a hard plastic shell that covers the entire rear and wraps around the sides. Together, these two layers offer a nice, strong covering for the iPhone X. The Presidio Ultra comes in four colors: black, purple/pink, gray/orange, and gray/blue. The inner material is one color and the outer shell is the other. 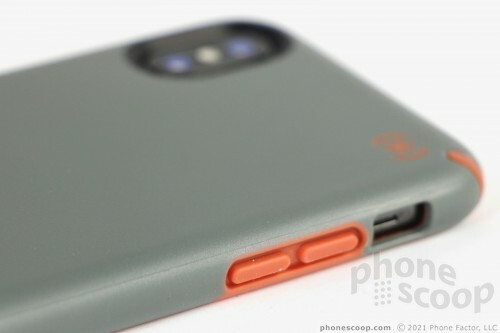 I like the mix of colors, as they give the case and the phone some nice accents. They remind me of the colors you'd find on outdoor gear for hiking or camping. I also dig the matte textured outer surface; it has a pleasing feel. 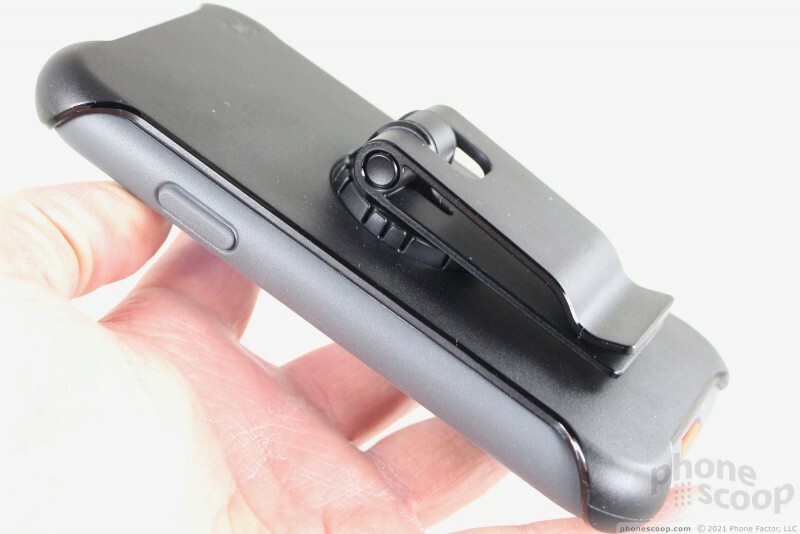 It's a snap to push the phone into the case. The four corners are filled with flexible material and allow the case to stretch just enough when squeezing the phone in. 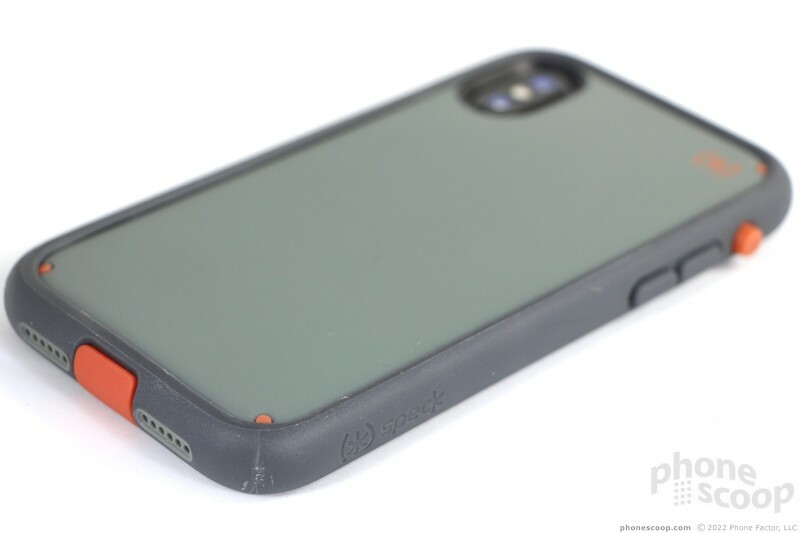 By itself, the main part of the case provides plenty of protection for the iPhone X.
Speck did a good job ensuring the case didn't get in the way of usability. A large cutout on the left edge means you won't have any trouble flipping the ringer switch. The rubber that covers the volume buttons is positioned perfectly and allows for excellent travel and feedback. The same goes for the screen lock button. You'll see three significant cutouts on bottom that provide access to the Lightning port and allow the speakers to do their thing. 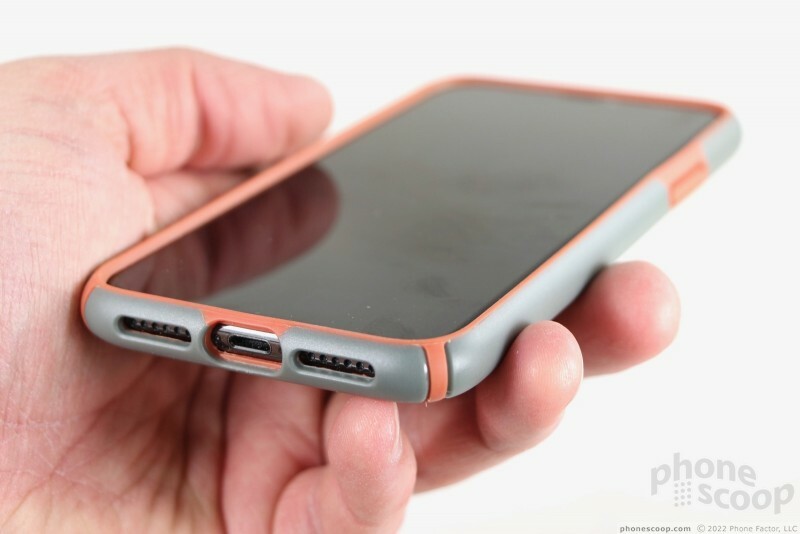 The case didn't interfere with any Lightning cables or accessories I plugged into the phone. Speck lined the camera hole with a plastic rim to provide an extra dash of rigidity. The case adds a small amount of bulk to the phone. 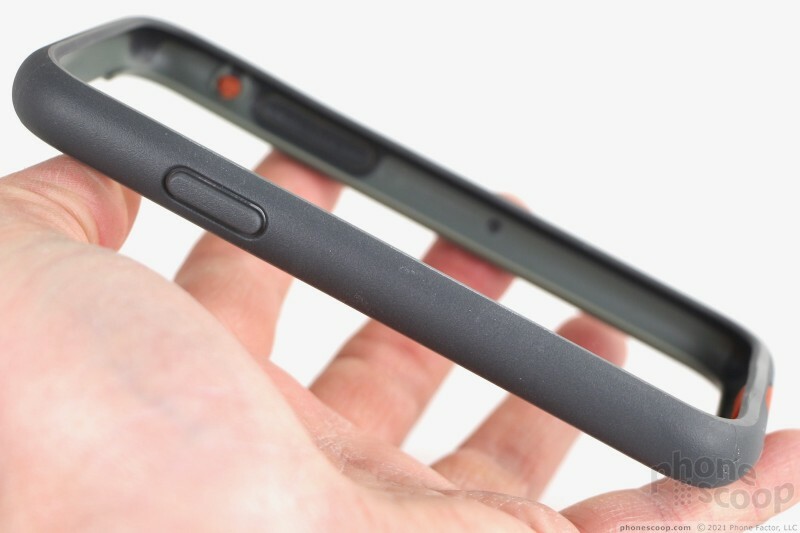 With the case on, the iPhone X is 5mm taller, 5.7mm wider, and 3.8mm thicker. You'll have no problem charging your iPhone X wirelessly when it is clothed in the Presidio Ultra. The additional bumper changes things a bit. It has slightly different colors/accents than the main case. 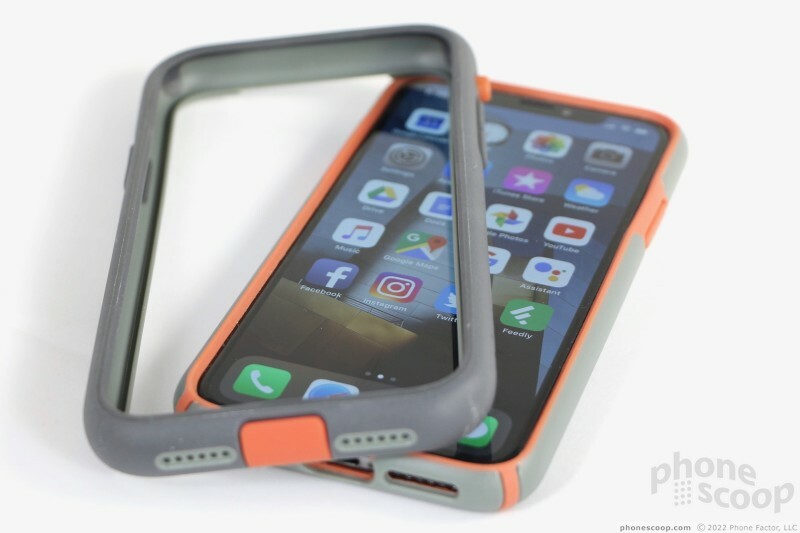 A hard shell forms most of the exterior, and it has a thin rubber component that helps stretch the bumper over the rest of the case. It doesn't take much effort to install. 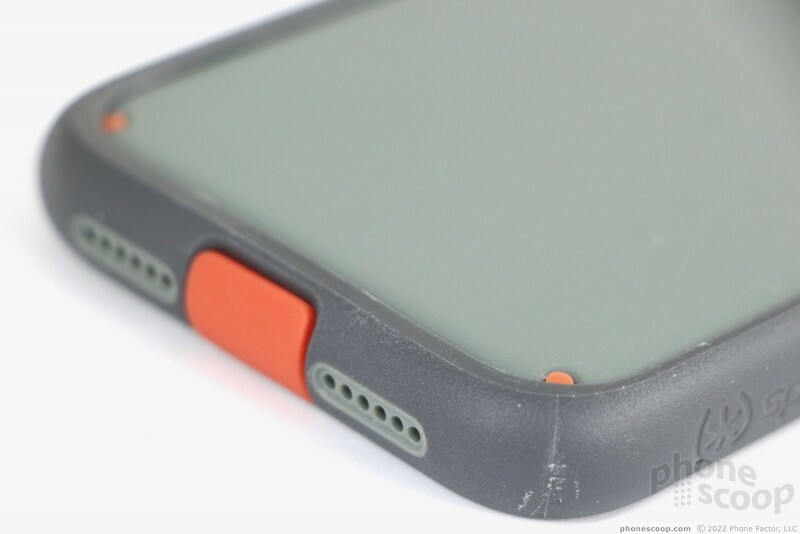 Because the bumper goes over the inner case, it complicates usability. 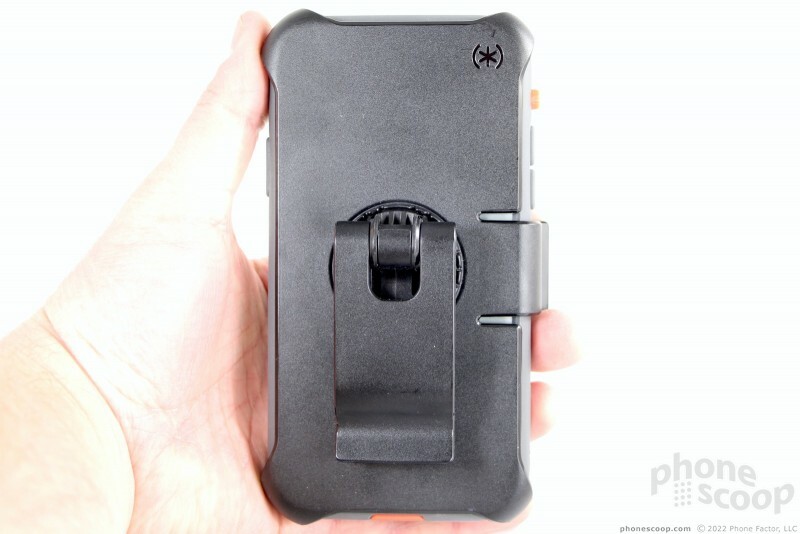 First, the outer bumper includes a dial on the left side (similar to the one you'll find on Catalyst cases) that fits over the ringer switch. It's pretty bad. It's small, flimsy, and a real pain in the fingertips to use. 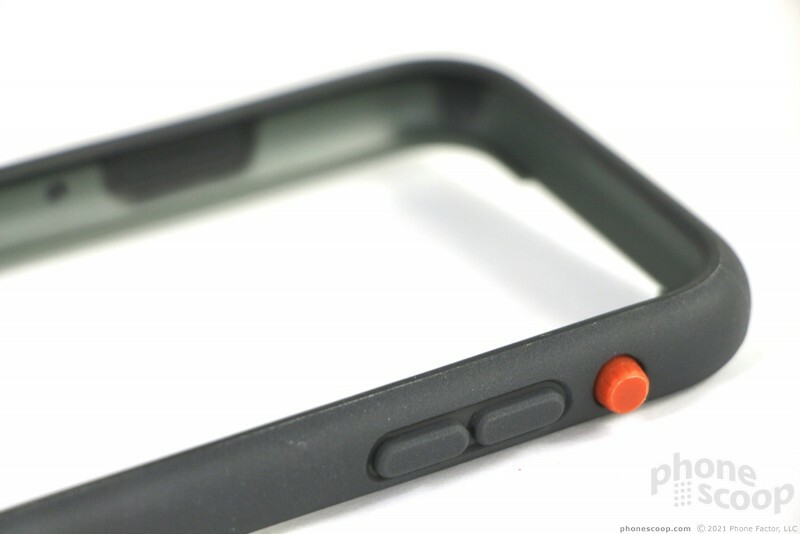 The rubber buttons that cover the volume keys are easy to find and use, and the same is true for the screen lock key. You've got twice as much material covering these buttons when the bumper is on, but Speck managed to keep the action good. 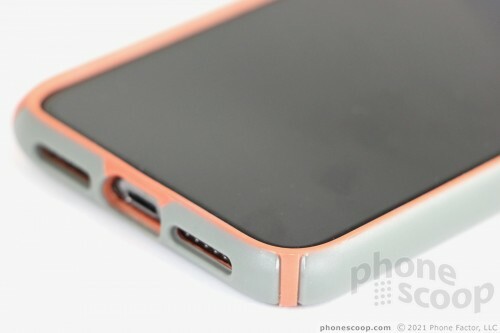 The bottom has small holes for the speakers and a rubber flap that covers and protects the Lightning port from dirt. The flap is awful. The hinge that connects it to the case is really weak. The flap on my review unit hasn't come off (yet), but many owners of this case say the flap is prone to breaking off after just a few weeks of use. 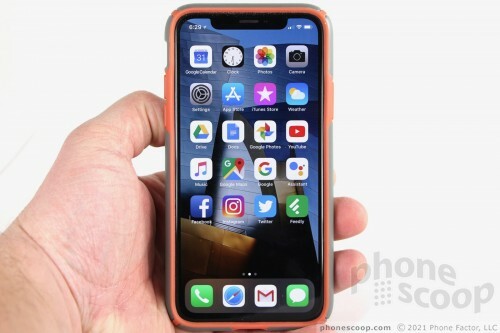 The bumper makes the iPhone X much, much bigger. 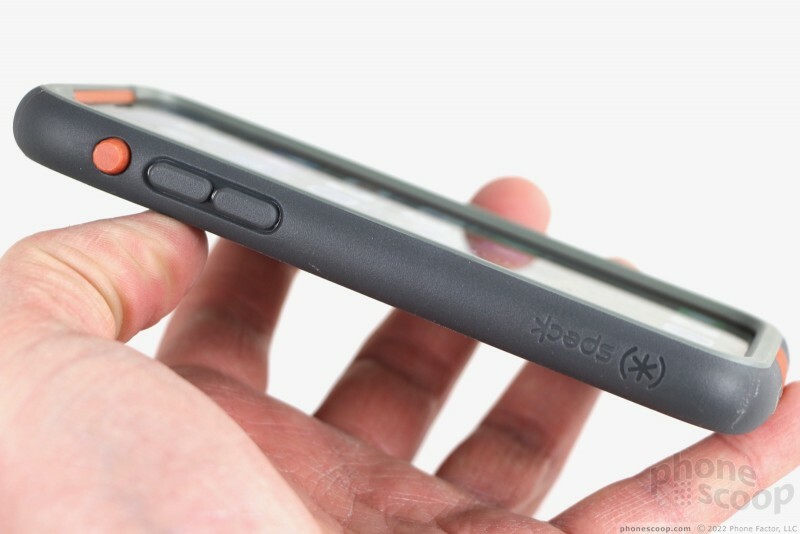 The case and bumper together increase the height by 9mm, the width by 12mm, and the thickness by 6.4mm. 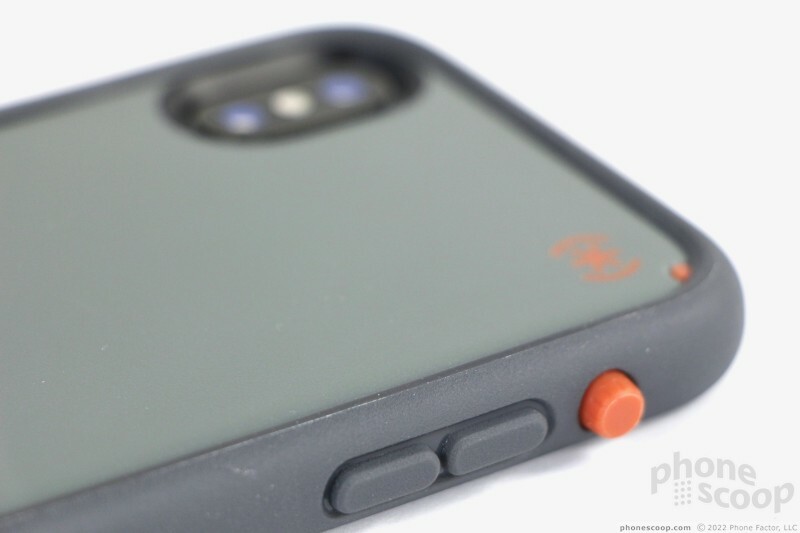 It's harder to put the phone in your pocket and retrieve it with the case on. The bumper has a fat lip, and it's a big problem. One of the key user interface changes with the iPhone X is the upward swiping gesture needed to close apps and such. 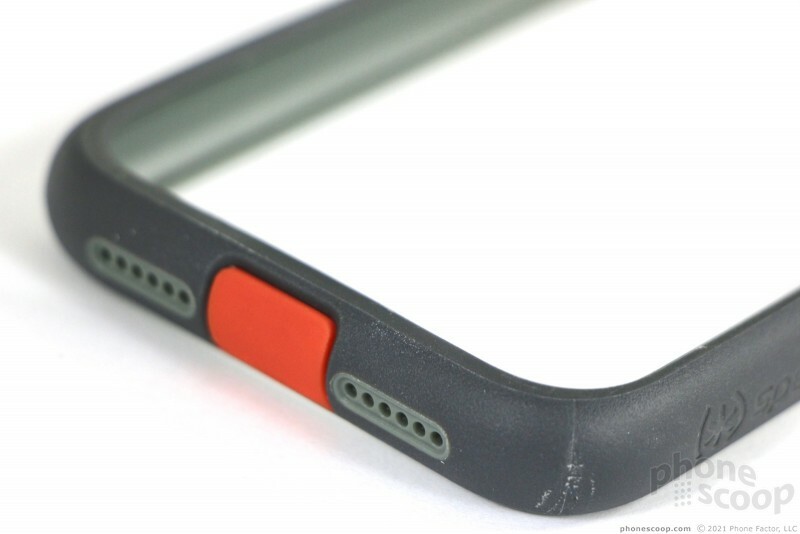 The bumper creates a thick rim that encircles the display. To be sure, the rim helps protect the screen from scratches when placed face down, but it's so thick that it gets in the way of the upward swiping gesture. This is critical. 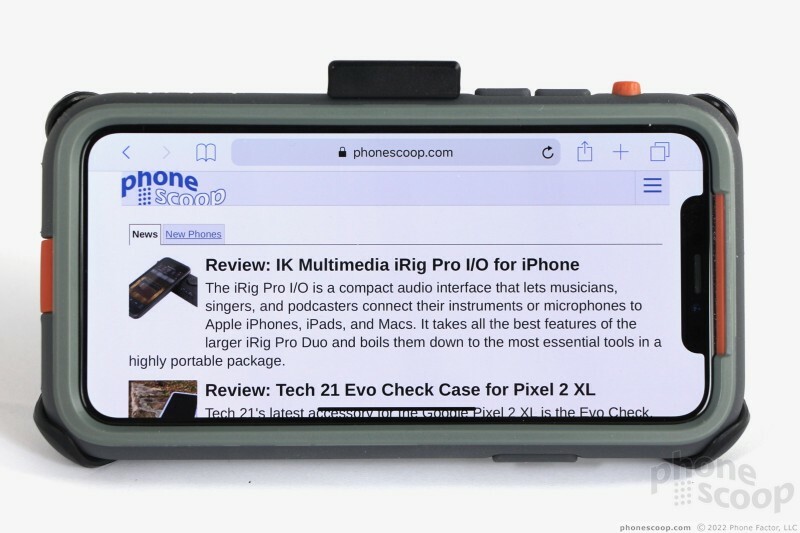 The Presidio Ultra required me to change how I reach the iPhone X's screen in order to properly use the swiping gesture — something no other case has forced me to do. I like the idea of the extra bumper for added protection, but Speck's execution here is seriously lacking. 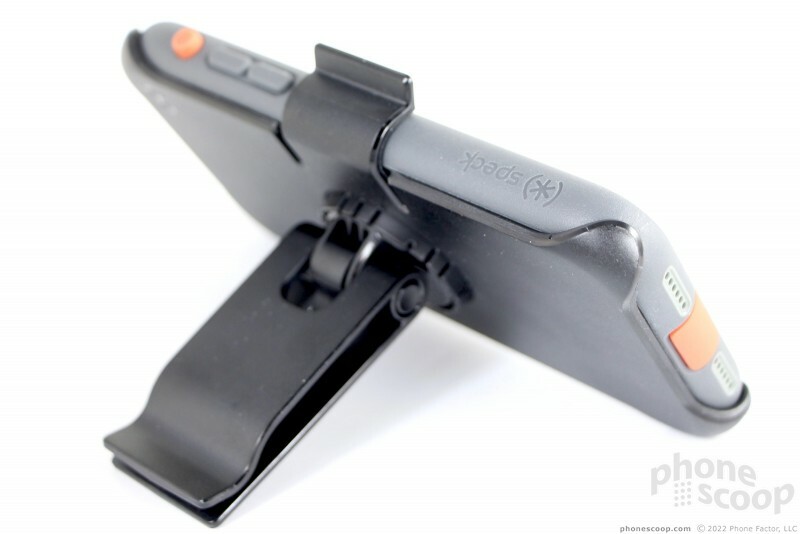 In a rare move, Speck ships the Presidio Ultra with a snap-in holster. It, too, has one critical flaw. 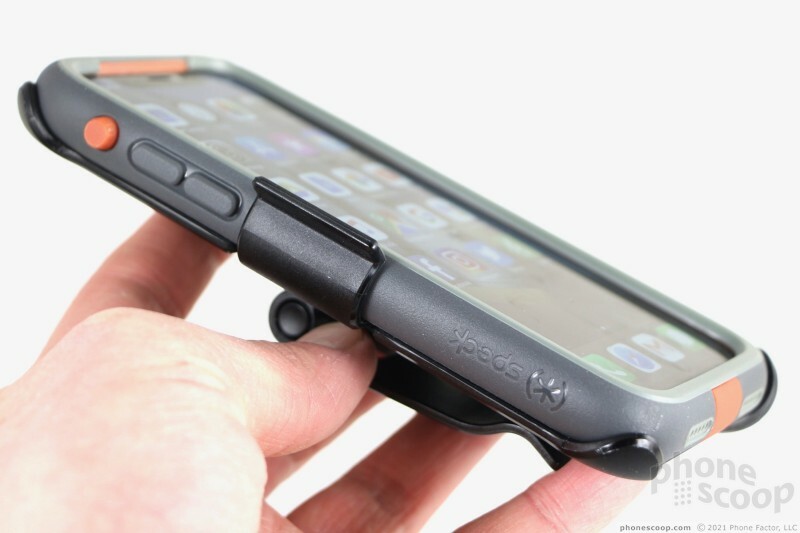 The case is made of durable black plastic. 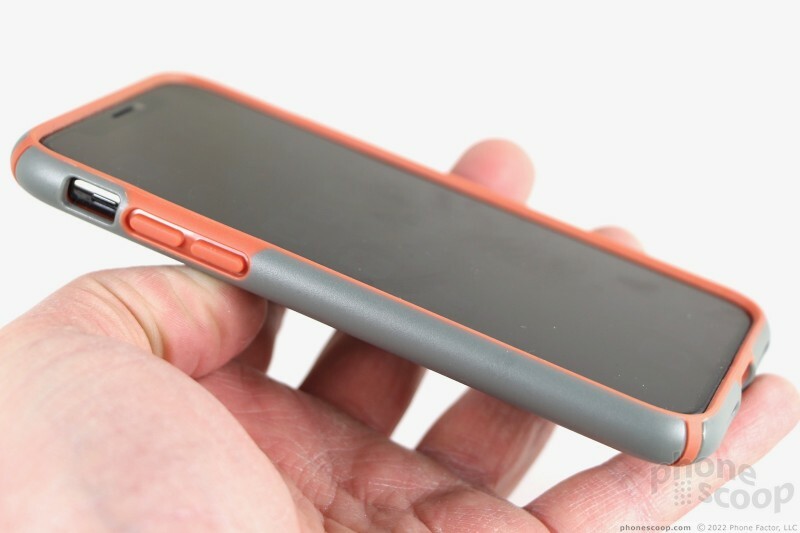 It has four raised corners that wrap around the phone as you snap it into place. A rotating clasp on the back does double duty: you can clip it to your belt, or use it as a kickstand to hold your phone up. The flaw? You can only use the holster when you have both the case and the bumper installed. 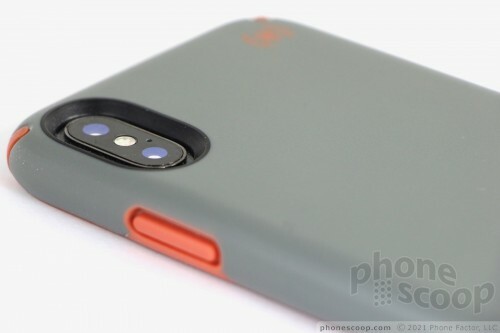 It can't accommodate the iPhone X with just the inner case, which is a shame. Speck says the Presidio Ultra is "15-foot drop tested." 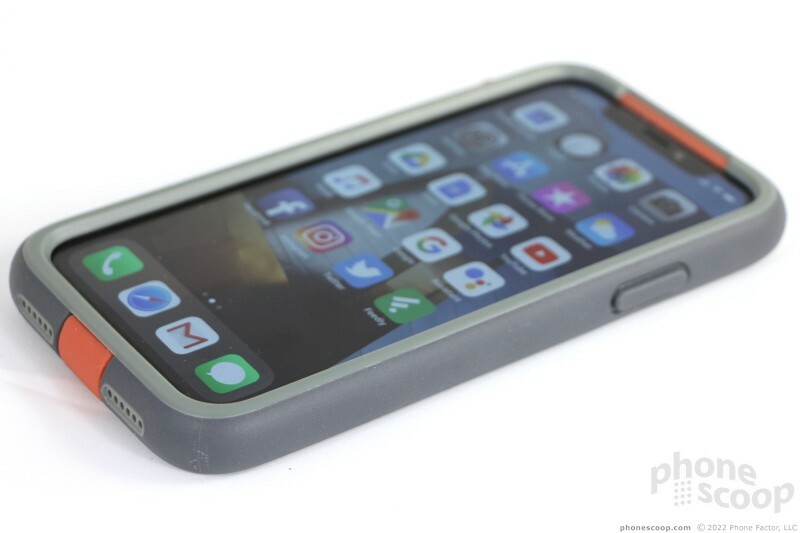 The company offers no clarity on whether it was tested with just the inner case or if that 15-foot rating requires the ultra bumper, too. 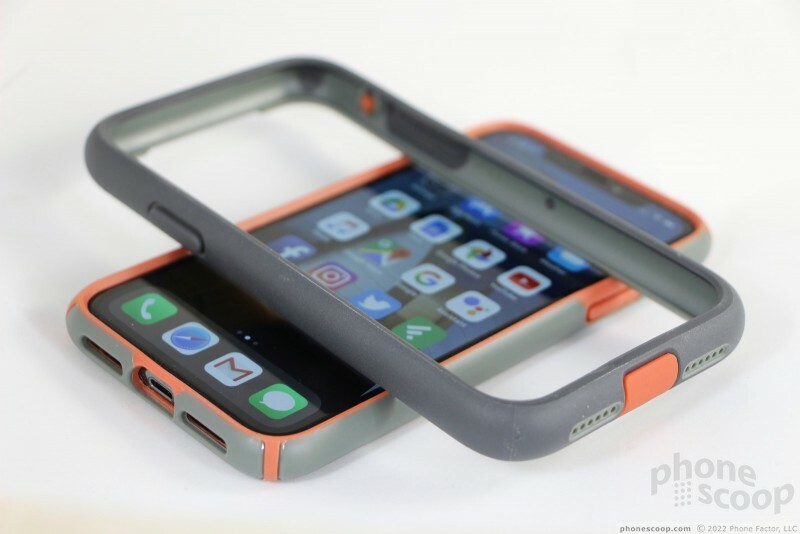 For the purposes of this review, I tested the case without and with the bumper installed. I dropped the phone onto a number of surfaces, including asphalt, stone, wood, and concrete, from about waist height without the bumper and from shoulder height with the bumper. The iPhone X didn't break. 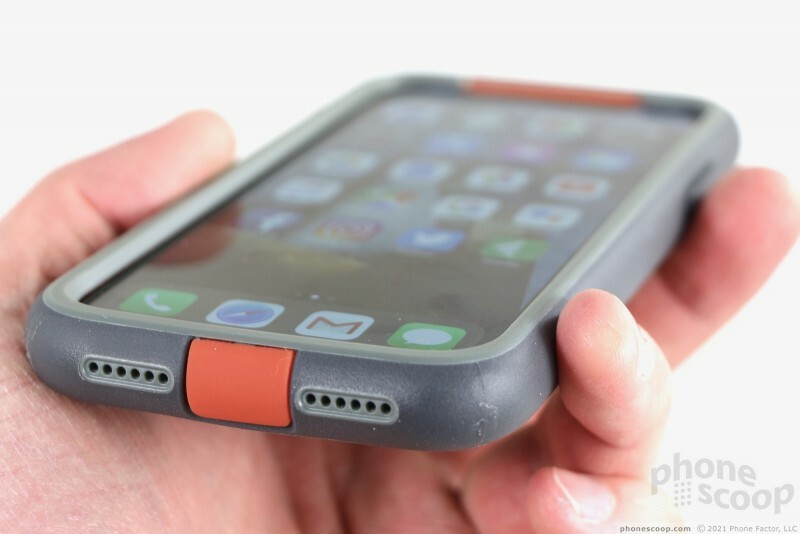 Speck also says the case provides IP68 protection from dust, dirt, and liquid damage. The iPhone X is already waterproof. 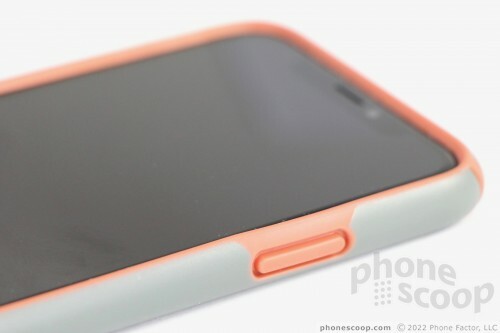 You'll need to install the inner case and the ultra bumper in order to score the additional dirt-proofing. While it's true the rubber flap on the bottom keeps dirt out, the IP rating goes out the window if the flap breaks off. There's no question the case keeps the iPhone X safe from everyday tumbles. The ultra bumper is prone to scratching, so make sure you're comfortable with battle scars. 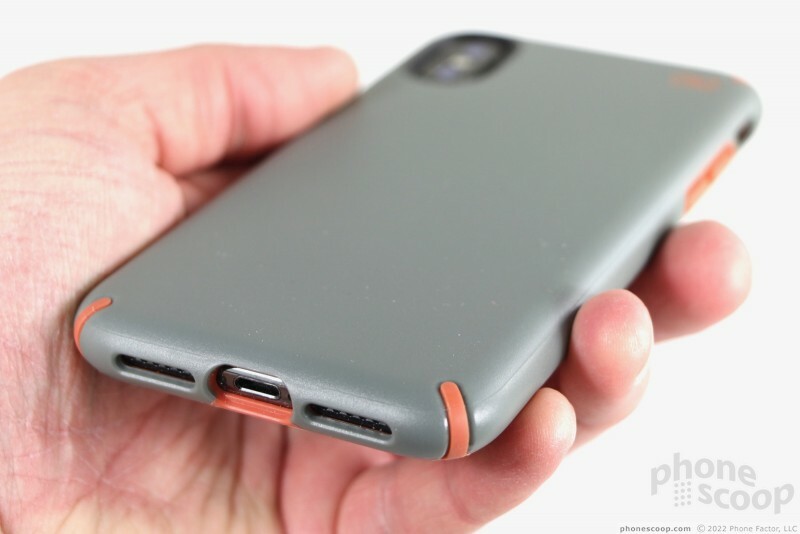 I have mixed feelings about the Speck Presidio Ultra for the iPhone X. I like the concept a lot — slim inner case for everyday use with a bumper you can add for extra protection when needed — but Speck didn't quite pull it off. The inner case is fine all by itself. 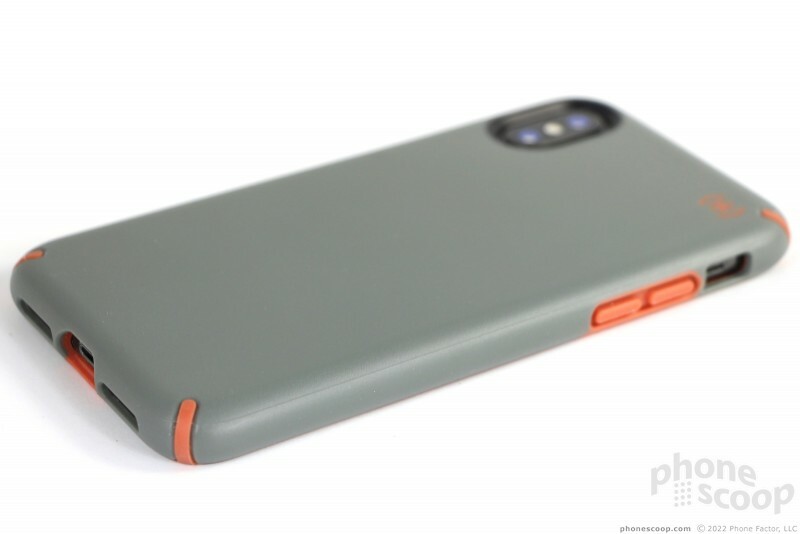 I like the design, colors, and protection it provides for normal drops from waist height. 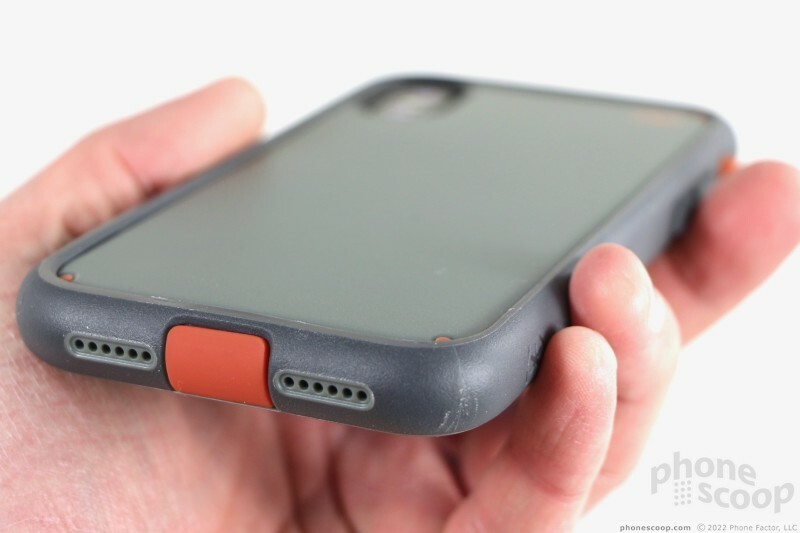 The bumper adds another layer of material between your iPhone and the ground, but does so at a price. The bumper increases the footprint significantly, has questionable build quality, and impacts usability of certain swiping gestures. The holster is a nice bonus feature in the box, but it only works when the bumper is installed. Speck sells the Presidio Ultra for $50 and that's a bit much considering the case's faults. I think your $50 will be better spent on options from OtterBox or Catalyst. 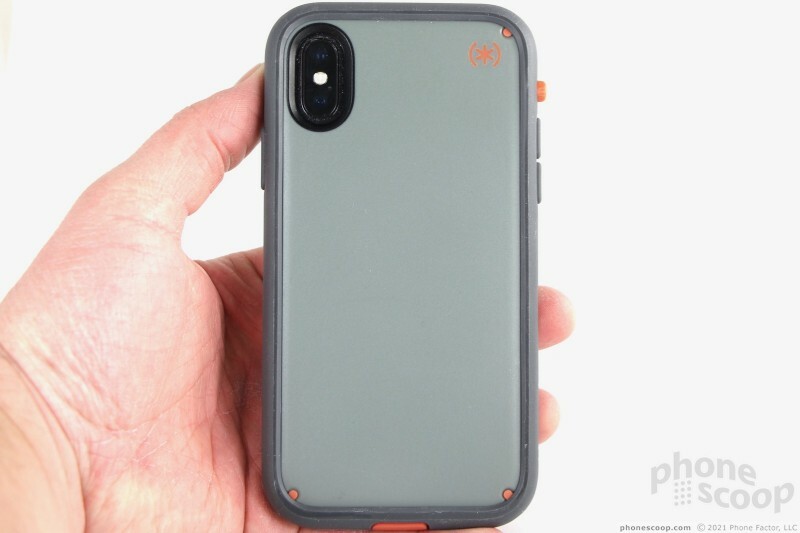 If you're seeking extra protection against water, snow, sand, and drops, the Catalyst waterproof case for the iPhone X has your phone covered and then some.